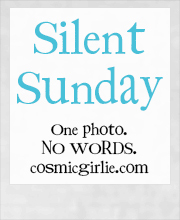 Posted in Silent Sunday on 03/08/2014 by mummyglitzer. Thank you. I really like the effect too and it was completely accidental. Of course I haven't been able to get the same effect since! Gorgeous boy! Children always look so angelic when they're asleep. Sleeping children look so angelic don't they! Aww sleepy head. Must have had an exciting day? Love watching my little ones sleep 🙂 Only time they are quiet!! So cute! Love watching mine sleep! Shh...do not disturb the little sleeping cherub. adadcalledspen recently posted..How do you explain this? So peaceful. Such a gorgeous pose. I've not managed to get one shot of my kids asleep yet - they always wake up at the wrong moment! Such sleeping pics are always lovely and don't we love them in such moments? If your house is anything like mine with all this light and heat this is such a rare moment atm.